Foreword by Pema Chödrön. 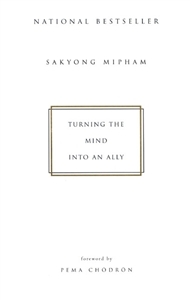 Turning the Mind Into an Ally offers basic guidelines for those interested in learning more about Buddhist meditation. 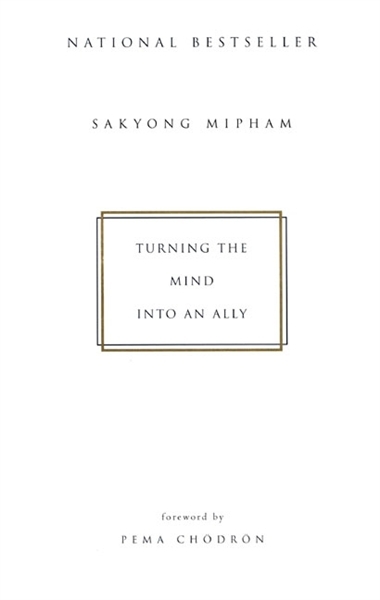 Sakyong Mipham's instruction and discussion of the virtues of peaceful abiding are followed by suggestions for thematic contemplative meditations on topics such as birth, old age, and death. The book includes three useful appendices, outlining the posture of meditation and offering simple instruction for contemplative meditation. The perfect companion: Turning the Mind Into an Ally DVD includes guided meditation instruction. From a workshop by Sakyong Mipham Rinpoche.